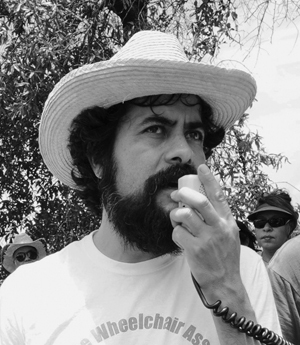 Pancho is one of the founders of Fe y Justicia Worker Center, a community organization in Houston for low-wage immigrant workers, and he has worked tirelessly to grow the capacity of Living Hope Wheelchair Association, a grassroots organization of immigrants with spinal cord injuries. Since coming to the U.S. from Mexico in 1996, Pancho has served as a teacher and mentor in the immigrant rights movement to build institutions that empower and defend the most vulnerable coming to the U.S. The impact of this servant leader’s contributions extends far beyond Houston. In 2004 he co-authored an award-winning popular education curriculum, BRIDGE: Building a Race and immigration Dialogue in the Global Economy, which confronted issues of divisions and alliance building and has transformed organizing and empowerment in the growing immigrant rights movement. It provides movement organizers with the tools to address issues such as racism, sexism, and homophobia within immigrant communities and frameworks to analyze human rights and globalization in migration. His commitment to modeling decision-making processes that engage the knowledge, experience and power of grassroots communities has inspired a new generation of immigrant rights leaders to challenge the status quo.